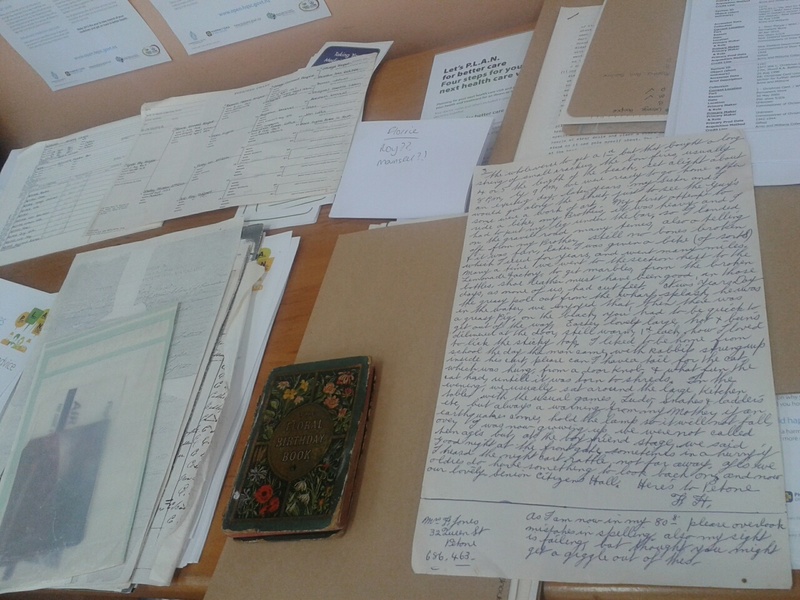 Like many museums we hold varying degrees of information about our collection items. Some objects we have a great deal of knowledge about while others we have much less. The photos and artefacts relating to George Shackleton Hooper, a Petone man killed at the battle of The Somme in WWI, is one such collection. We knew that some of the items had been donated to the museum in 1977 by a Mrs F Jones, but had no further information. 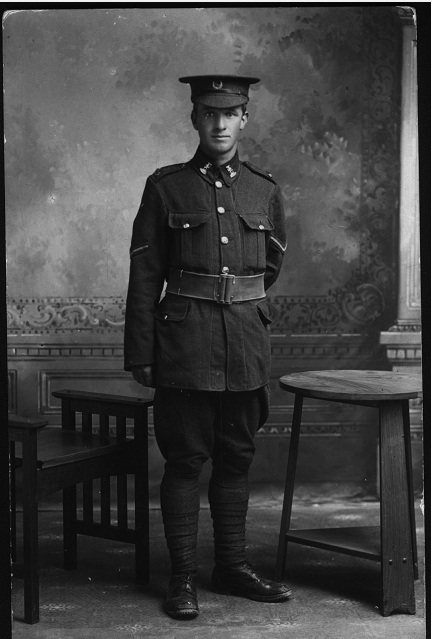 This photo shows George in his soldier’s uniform prior to setting out from Wellington harbour to fight for his country. We hold a number of other objects that relate to George, including his medals and the official notification of his death. When we decided to do an exhibition display to honour George for Anzac Day this year, as part of our commitment to telling local stories of the war, we felt strongly it was important we find out more about George, his life and his family. Through our colleagues at the Petone Heritage Centre we discovered photographs of George as a child. 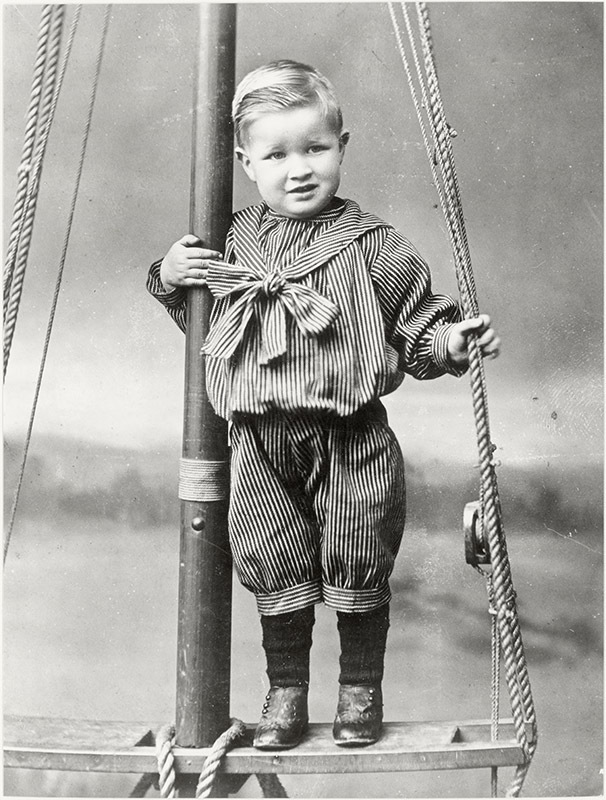 This image is of George at three years old, taken by the photographer William Henry Scott Kinsey, from the Petone Library collection. Again with the help of our colleagues we also tracked down his great niece Lynda Battah (nee Hooper). 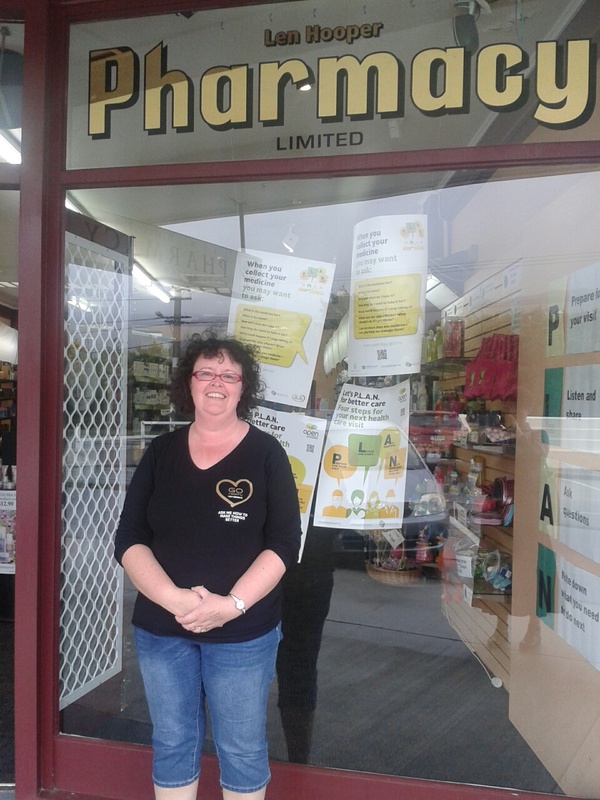 Lynda runs the Len Hooper Pharmacy in Epuni,originally established by her Dad, who has since passed away. It was wonderful to meet with Lynda and hear more about the Hooper family. Lynda has a collection of family photographs, letters and a detailed family tree which has substantially added to our knowledge. It has been very rewarding to fill in our gaps in our knowledge and further the connections between the museum and the Hoopers. Our exhibition display on George Shackleton Hooper opens at the museum tomorrow, April 21, we hope you can check it out. This entry was posted in PSM and tagged Anzac Day 2015, George Shackleton Hooper, WW100. Bookmark the permalink.